all your audio, video, and security needs. discover our capabiities and get inspiration for your project. Evolution AVS puts the power of performance in your hands. 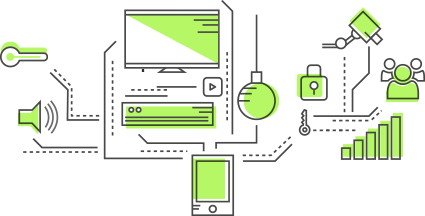 Harnessing the complexities of today's digital world, our goal is to provide easy to use, fully integrated audio, video, and security technologies. Our commercial experts enhance the quality of business communications through their innovative approach to integrated audio, video, and security system design, while our residential team creates entertainment and security environments to serve every room in your home. 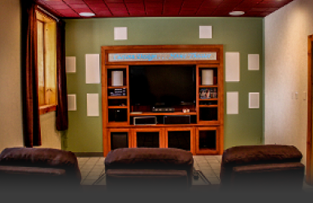 Evolution AVS combines a deep knowledge of technology with expert installation and unmatched customer service to bring you an audio/video experience you will enjoy for years to come. We support everything we install for your worry-free enjoyment and use. Call today for an assessment and to learn more about the products and services we offer. For security and surveillance systems, visit Custom Design Security, the parent company of Evolution AVS. 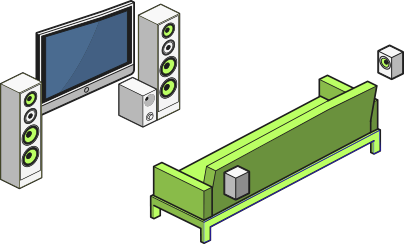 We are specialists in the design, sale and installation of whole house audio and video systems. 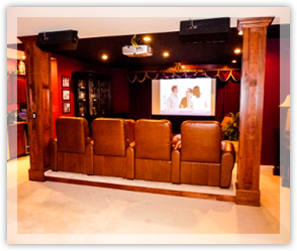 We use only high-end in-wall and ceiling speakers, projectors, and plasmas to create unique home movie theaters and multi-zone audio, music-server driven homes. Gain from our experience today! Evolution AVS is a distributor for the most advanced line of commercial and residential structured wiring and intelligent network components available on the market today. These products will help you keep up with the computer and internet revolutions, as well as future advances in digital or fiber optic technology. 31411 W. Eight Mile Rd. The contents of this webpage are Copyright © 2019 Evolution AVS. All Rights Reserved.